James Ward top scored for Doncaster Town in their defeat to Richmondshire. 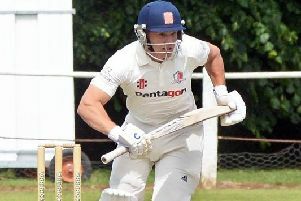 Doncaster Town went down to Richmondshire in the last 16 of the ECB National Club Championship. But it could, and probably should, have been a different outcome at Town Fields on Sunday. Doncaster had hoped that history was about to repeat itself. The club celebrate the 20th anniversary of their famous win at Lord’s in the final of the national knockout competition, then known as the Abbot Ale Trophy, this year. And things were very much going to plan when they inserted the visitors - captained by former England supersub Gary Pratt, who famously ran out Ricky Ponting in the 2005 Ashes - and took wickets at regular intervals to leave them struggling on 116-9. James Stuart (3-42) and spinner Jack Shutt (3-24) impressed with the ball. However, a brilliant knock of 81 not out from Matthew McKiernan ultimately proved to be the difference between the two teams. McKiernan and Robert West shared an unbroken stand of 49 for the last wicket and lifted the total to 165-9 from 40 overs. 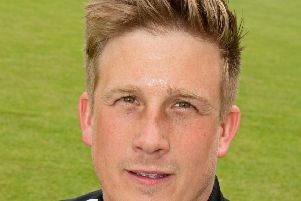 Doncaster’s success in this competition this season, in seeing off Harrogate, Hanging Heaton, Sessay and Woodhouse Grange, came from batting second and Luke Townsend’s men would have been confident of adding their opponents from the ECB North Yorkshire & South Durham Premier League to their list of scalps. But they got off to a shaky start when openers Stuart and Graeme Attenborough went early and Yorkshire youngster Bilal Anjam quickly followed them back to the pavilion. James Ward showed plenty of determination and kept his side in with an outside chance. But wickets continued to fall around him and Ward was eventually the last man to go, for 51, with Town on 124.
n Doncaster also suffered a seven wicket defeat to Appleby Frodingham on Saturday and dropped from third to fourth in the ECB Yorkshire South Premier League as a result. Stuart scored 61 in Town’s 199 all out. The visitors surpassed that total in 46.1 overs thanks to 54 from Ryan Schierhout, 39 from Robert Day and an unbeaten 45 from Matt Fowler.